Make collaboration more engaging, inspiring and productive. Tired of dull meetings with endless slideshows? Turn workshops, scrum, brainstorming and other sessions into what they should be: interaction-based and dynamic, with inspiring, creative output. 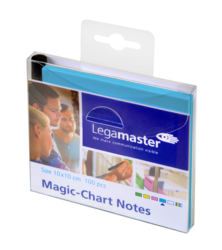 Legamaster International B.V. brings a touch of magic to every meeting with Magic-Chart Notes: the rewritable, self-adhesive Notes. The electrostatic Notes stick to any smooth surface. Plastic, glass, brick, concrete, wood: any smooth background will do. You can write on both sides of Magic-Chart Notes with a whiteboard marker and wipe the text away just as quickly and easily to make more Notes. 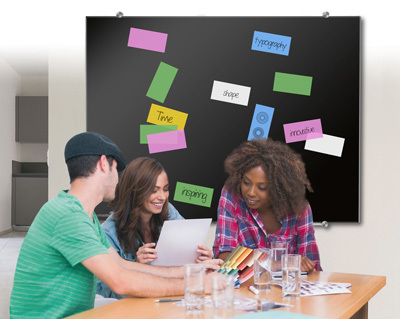 Thanks to their unique electrostatic adhesion, the Notes can be moved about, repositioned or rearranged with real ease. 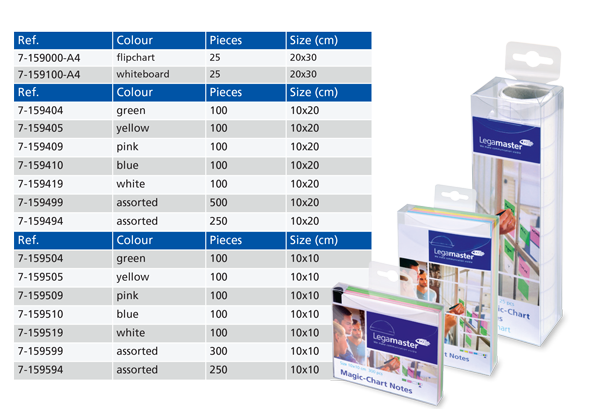 Available in a variety of colours and sizes, Magic-Chart Notes are a vital addition to any meeting room. Magic-Chart Notes are part of the original Legamaster Magic-Chart product family. 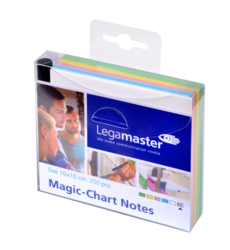 The Magic-Chart Notes are available in a range of sizes and colours. Would you like to find out more about the Magic-chart notes?